Author Kay Douglas once said, “Sometimes unforeseen opportunities emerge from the remnants of life’s challenges...sometimes it is possible to transform tough times into great growth and success.” A quote that carries much meaning, but it becomes the inspiration it is meant only once it’s put into action. Approaching their 10th anniversary next year, Omni HR Consulting has done just that. 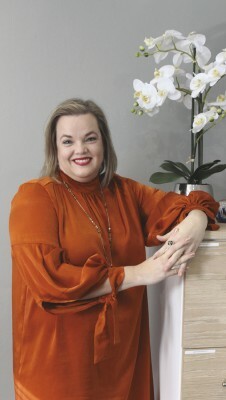 Omni HR Consulting was founded by five women in June 2009, an educational entrepreneurial business focusing on business-to-business solution provision. The birth of Omni was needs driven as the founding members faced retrenchment and collectively had a deep seeded need to ensure the personal commitments made to clients were honoured. From the very beginning, they had a desire to make a significant difference in the education space within South Africa. 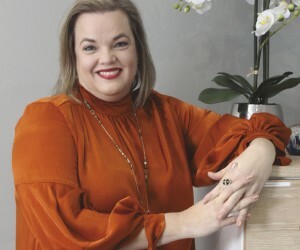 Achiever magazine sat down with two of the key role players within the business, Managing Director, Lize Moldenhauer, and Operations Executive, Cindy Londt, to find out more about the organisation and the first 9 years in business. The core focus of Omni HR Consulting is to provide customer’s innovative, relevant and industry-related training and development solutions, which will meet their skills development needs. Omni’s credibility is not only based on their excellence in quality, commitment to service excellence, and alignment to organisational culture and industry but also their collaborative partnerships with their clients. The team who operates as brand ambassadors diligently ensure high quality provision of training and development services by ensuring they operate within the legislative framework of not only the various Sector Education and Training Authority (SETA) they are accredited with, but also other accreditation bodies like Department of Higher Education and Training (DHET) and now the Quality Council for Trades and Occupations (QCTO). Furthermore, there are four fundamental frameworks that encapsulate who Omni is. Quality is a major component of who they are. They ensure that it is a golden thread that is experienced with all levels of engagement with Omni. Quality is key; it is a non-negotiable and this is because they want to ensure they are a brand in private provision known for quality. Clients and industry players attest to the fact that Omni HR Consulting is known for their extremely high level of quality – a noteworthy aspect is that they have a DHET compliance score and rating of 100%, which indicates maintaining their registration at a meticulous level. Omni believes it is their ethical obligation to make a difference by assisting and helping the community wherever possible. It is for this reason that Omni defines their ‘people’ as staff, suppliers, learners, clients and the community at large. Suppliers play a vital role to Omni in allowing them to carry out their duties, they cannot make do without them and want to work closely with them as building relationships with all those involved within the organisation is imperative. In addition, Omni deploys Supplier Development initiatives by working with qualifying suppliers on a one-to-one basis to improve their performance for the benefit of the supplier. This leads to improvement in the total added value from the supplier in their product or service offering, business processes and performance, and improvements in lead times and delivery. Evidence of this can be seen in the initiatives Omni has implemented with various suppliers and has resulted in enhanced efficiencies and business growth for their suppliers. For Omni, being in the education space is not just about numbers, it is about the aspirations and the hopes of individuals, especially their learners. Placing trust in the organisation to help facilitate growth in them as individuals through a specific learning journey they attend. Omni believes they have an ethical accountability towards excellence in all engagements with their learners. Omni accepts that their clients not only entrust them with their money and staff, but also with the hope that partnering with them will make a significant difference in the development areas identified and increase the performance (behaviourally or technically) of individuals enrolling in their programmes. It is critical for them that the learning journey is supported with a highly effective Work Integrated Learning Model that ensures the learners are supported in such a way that the classroom reality is not removed from the world of work. They therefore not only instil learning within the context of the formal framework, but they also ensure transfer of learning to the workplace and therefore Omni prefers a partner relationship with their clients, as they want to partner for change. Within the broader context of community, Omni strives to make a significant difference in South Africa by being a good corporate citizen. They have an entire division that focuses solely on Corporate Social Responsibility with 2018/19 dedicated to initiatives that impact vulnerable women and children. A campaign deployed this year was to focus on Human Trafficking awareness and prevention by educating youth in partnership with a non-profit organisation specializing in this area. As a business, Omni enjoys partnering with others within the industry to add value to the services and solutions that they offer. This allows clients to get the best and most efficient tailor-made services. Omni implements collaboration through clearly defined parameters that lead to unity within the collaboration framework. This allows them to govern a relationship seamlessly and allows for execution of the solution as agreed. Although Omni operates locally, their goal is to have a global reach. They define ‘disruptive’ as making a significant difference within the education system opposed to causing havoc. Things cannot be done the way it’s traditionally been done within our education system. As an organisation Omni believes that a country’s education system needs to work and be effective in the foundational years of a learner’s education journey, not just when they are older. These four foundational frameworks are what govern Omni HR Consulting strategies and what informs their research, development and innovation. South Africa as a country does not have the greatest success rate when it comes to SMME’s starting up and then managing to continue through troubled waters. Most fail within the first five years and Moldenhauer understands this as well as anyone. “We had the same issues as other SMMEs, problems such as cash flow, we couldn’t draw a salary, those first 1000 days were not the easiest, but we pushed through. As time went by, business improved, and we grew to 12 employees, and then three years ago we grew exponentially to where we sit today at just under 200 individuals.” says Moldenhauer. Omni HR Consulting team’s vision is that at no point should they operate as a SMME. “There is nothing worse when starting a business than having a ‘SMME mindset’, you have to see yourself as what you want to be in future, what’s the big picture – I always used to say, I don’t know where we’re going, but I know we are going to be big. I am proud, we weren’t perfect, no one is, but we always strive for perfection. Our policies, procedures and our systems were always well governed, well put together with good quality standards,” explains Moldenhauer. What is clear during discussion is that the entire Omni team is geared towards doing things correctly, with discipline. That is how they have always been, resulting in the growth over the years. Instead of chasing the next deal or client, they got their administrative processes and systems in order early, making it easier to manage expectations and demands of clients. “The processes are about the learner and about ethics, and if we are not doing justice to the learner at the end of the day we should just stop what we are doing. Any organisation that wants to operate in our space, needs to do so ethically and do right by the learner,” according to Londt. A development within the education landscape was the introduction of the Quality Council for Trades and Occupations (QCTO), which presented the philosophy that classroom-based (theoretical) in addition to occupational workplace-based learning would be a requirement to operate within the QCTO framework. This naturally posed a divided view within industry as to the benefits and functionality of QCTO as a quality body in South Africa. Omni chose to be a part of the change in landscape opposed to rejecting the changes. An incredible feat for Omni HR Consulting was to receive accreditation as a skills development provider with the QCTO on the 29th of June 2018. The first private provider to offer the following two qualifications: Occupational Certificate: Training and Development Practitioner (Learning and Development Practitioner), NQF Level 5 and Occupational Certificate: Sales Assistance (General Retail Sales Advisor), NQF Level 3. The QCTO relies on the methodology of work-integrated learning and as such requires business to partner with training providers to ensure those participating in occupational qualifications are presented the opportunity within a workplace to practically apply their knowledge and skills. There are very clear benefits for both the workplace and the learners. Business will receive more skilled and relevant individuals that would transition easier into the world of work. “Often, we hear learners say that they have studied and have a list of qualifications, however no work experience. What the QCTO qualification does is it forces the work-integrated learning component and as a result learners’ have 70% of their learning occur in the workplace. Fundamentally every learner not only walks away with a qualification but eight to twelve months of workplace experience,” adds Londt. The Department of Higher Education and Training (DHET), Umalusi and now with the Quality Trades and Occupations it is important that Omni’s quality and foundational framework pulls through into the processes, systems and policies. This is where the discipline within the Omni space really kicks in. “When it comes to compliance, it is just so easy to do it right, I don’t understand why you’d do it any other way – you just create more work for yourself when you have to fix it later,” concludes Londt. Omni HR Consulting has grown a significant amount over the last 9 and a half years, and it is easy to see why. Five women who know what they want, and they go about getting what they want in the right way – cutting corners is not in their vocabulary.